This was an excellent shave. I used cream, today, instead of soap, because I am dissatisfied, with the soap I have (Edwin Jagger). The cool weather inspired me to use sandalwood. Happy Weekend, Happy Friday, and, Happy Shaving! Finally, the weekend is here. I was tense, and, the lavender helped me, to relax. I, really, enjoyed this shave. I shaved seven (7) times, this week. I aim to shave 11 (eleven) times, next week. Happy Friday, Happy Weekend, and, Happy Shaving! Beginning tomorrow (if I shave tomorrow) my shave of the day setup will reflect an 80% change in the hardware and software. 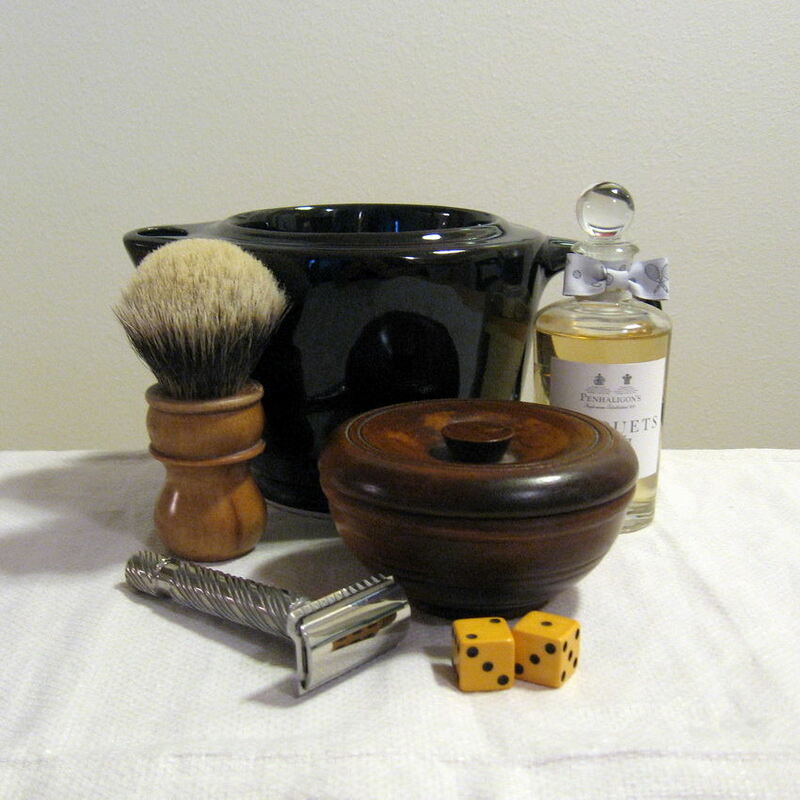 The only thing that remains the same is the Superior 70 after shave splash. Different razor, blade, soap, and brush. I'm looking forward to the change and will probably stick to this setup for the better part of a year. At least that's my plan. A/S:	Dollar Store Splash - Blue / "Fresh Scent"